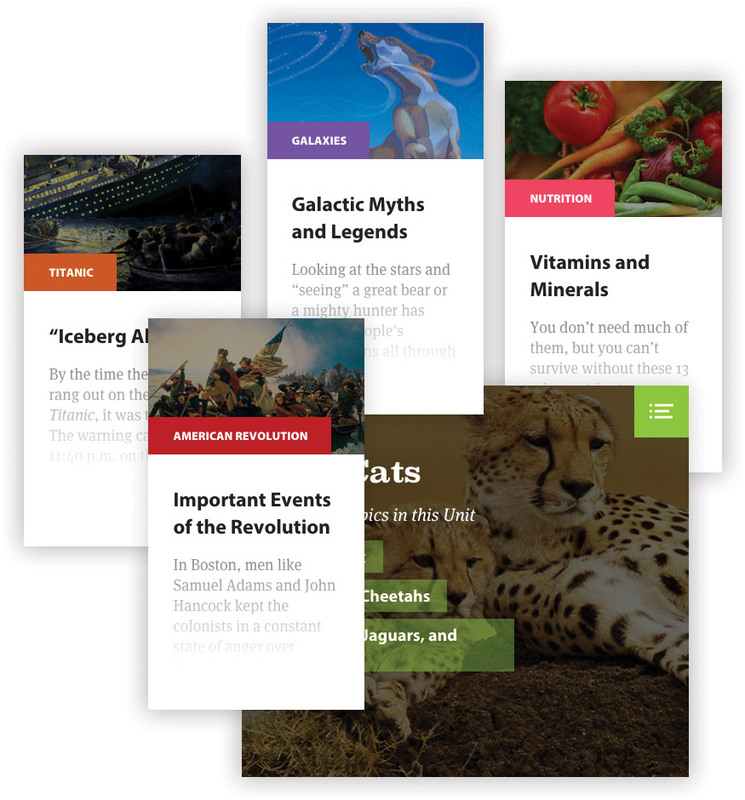 Access Kids Discover's award-winning library of science and social studies material on any device, at any time, for one low price. 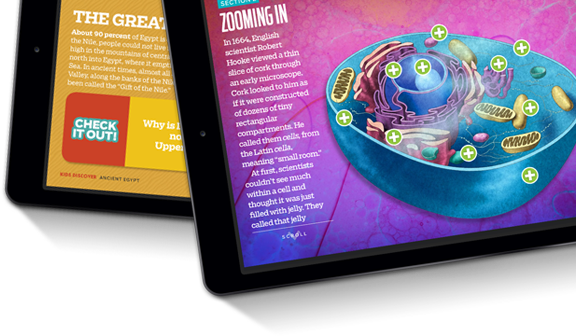 For over 25 years, we've been creating beautifully crafted nonfiction products for kids. With our team of talented writers, award-winning designers and artists, and subject experts from leading institutions, we set out to build our most ambitious product to date: Kids Discover Online. We’re all born with an innate curiosity. Sometimes all we need is a little inspiration to tap into it. 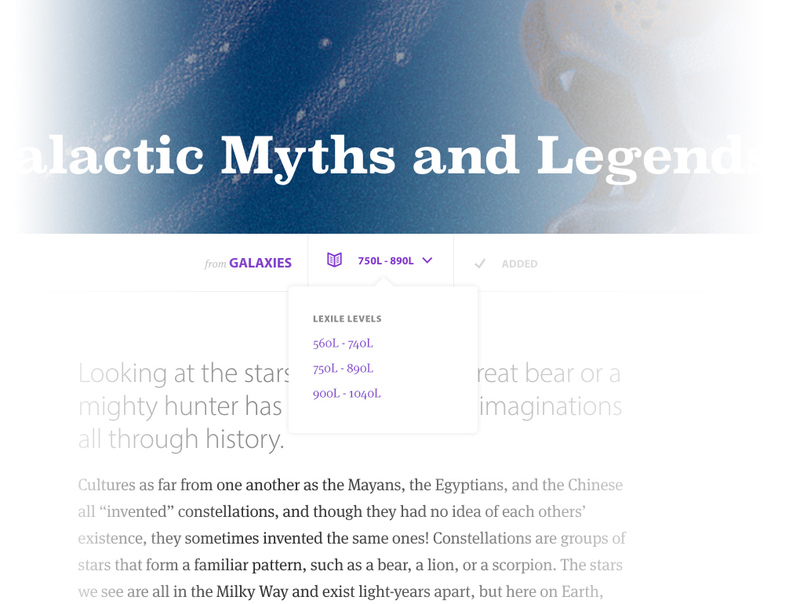 Our homepage is an endless feast of science and social studies material. Explore over 1,500 engaging topics, discover new interests, and get inspired about the world in which you live. Assessments come in all shapes and sizes. They serve as a measure on student progress, and help guide you and your class through the year’s curriculum. That’s why we’ve created a dynamic new feature that makes it easy to build, distribute, assess, and track customizable quizzes, tests, and homework assignments. Not every child reads at the same level, and that’s okay. What’s challenging for one reader may come easily for another. We’re excited to offer 3 Lexile® Reading levels that take into account grammar, vocabulary and sentence length. Whether you’re helping your child learn to read, or whether you’re teaching 8th grade social studies, we’re here to help. For students with various literacy challenges, having read-aloud support is essential. 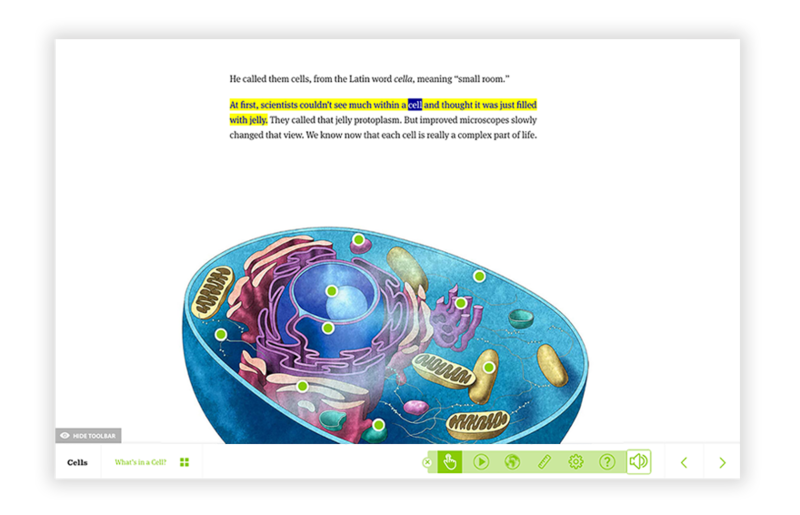 Kids Discover Online now offers text-to-speech read-aloud functionality in multiple languages. Assist ELL and ESL learners while building confidence and understanding for struggling and reluctant readers. Signing-on should be a breeze, not a headache. The last thing you want to do is to waste the beginning of class getting your students up and running with an online resource. 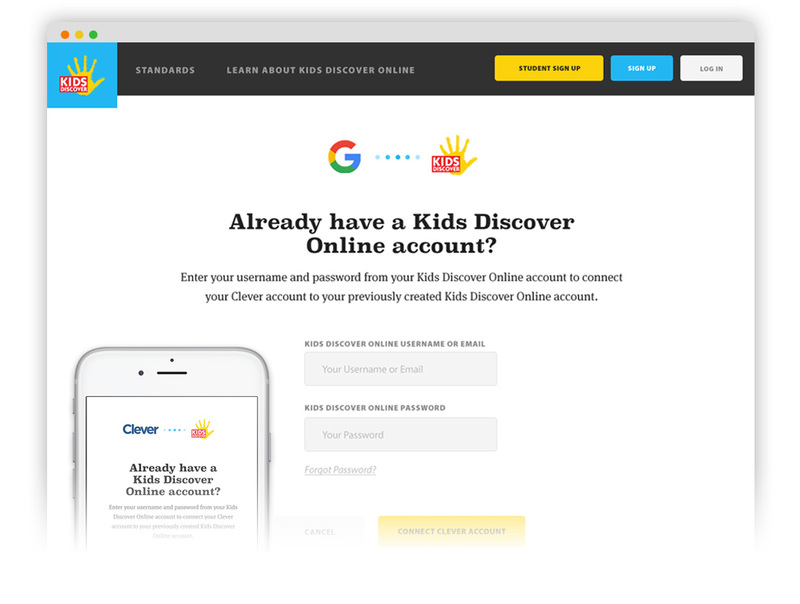 That's why you can now register and sign-on to Kids Discover Online using your Google or Clever account. Onboarding and activating your student's accounts is fast and easy. Try it for yourself. Inquiry-based learning is more important than ever. That's why we've engineered Discover Map. This visual concept map literally connects the dots across different subject areas and time periods. Help cultivate a child’s ability to research and make connections independently, and have a little fun along the way. Every lesson starts with a set of goals. 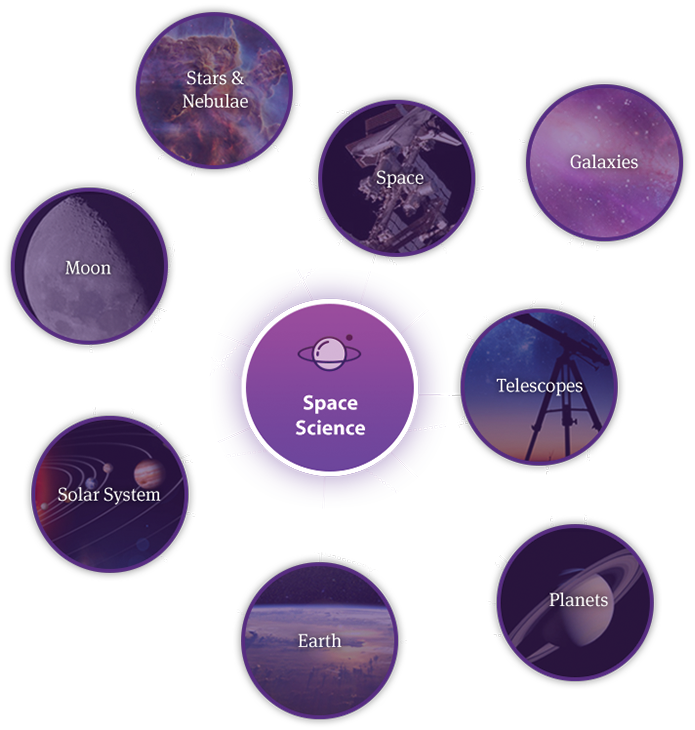 Finding science and social studies material that aligns with those goals should be easier. 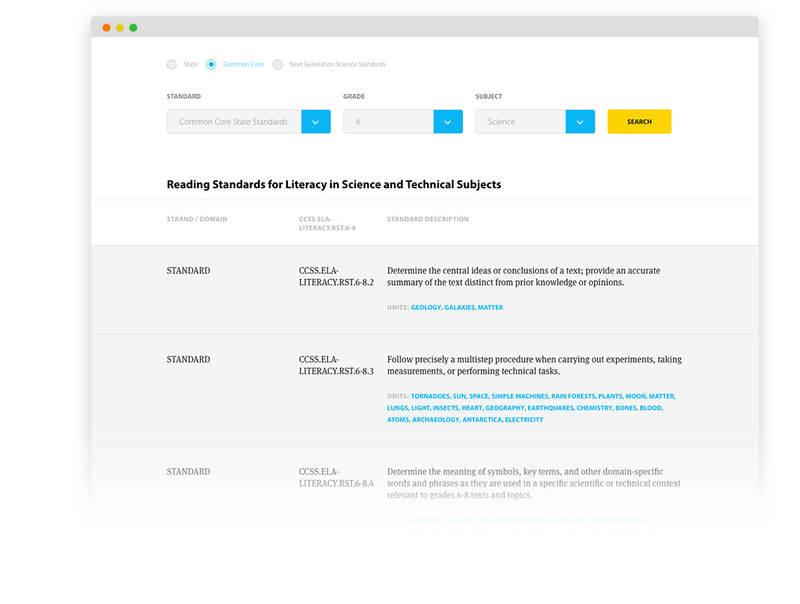 Our Search by Standards widget enables educators to search our library by grade level, subject, and State, Common Core, and Next Generation Science Standards. More control to educators means more effective lessons, and more engaged students. Every lesson has the potential to impact your students. But with so much material on the web, it’s hard to know where to begin. 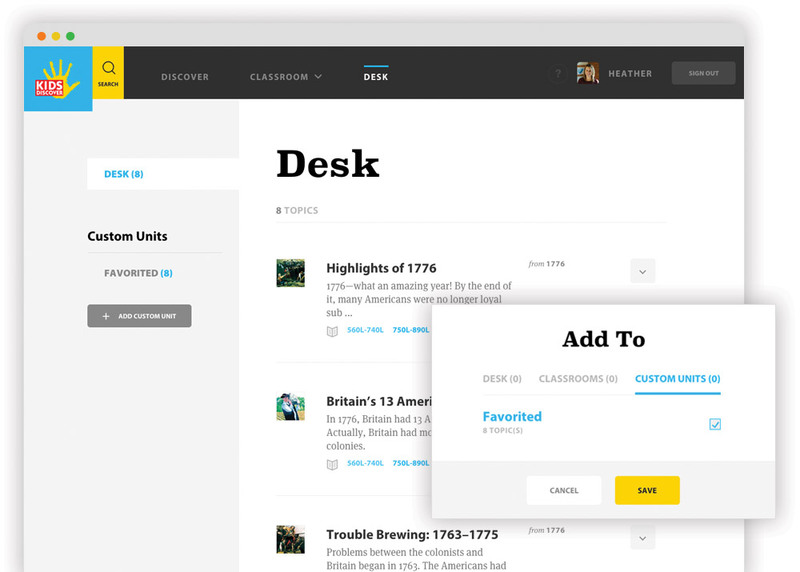 We’ve built our Classroom tool to help educators create a shared space for the day’s lesson. 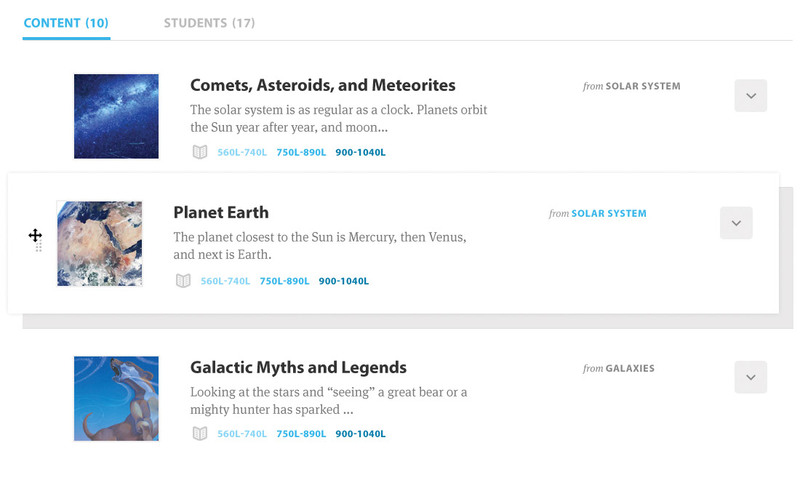 Invite students to join your classroom and assign different reading levels based on individual abilities. Focus your energy on what matters most: learning. We know your time is valuable. Trust us, we’ve been there. 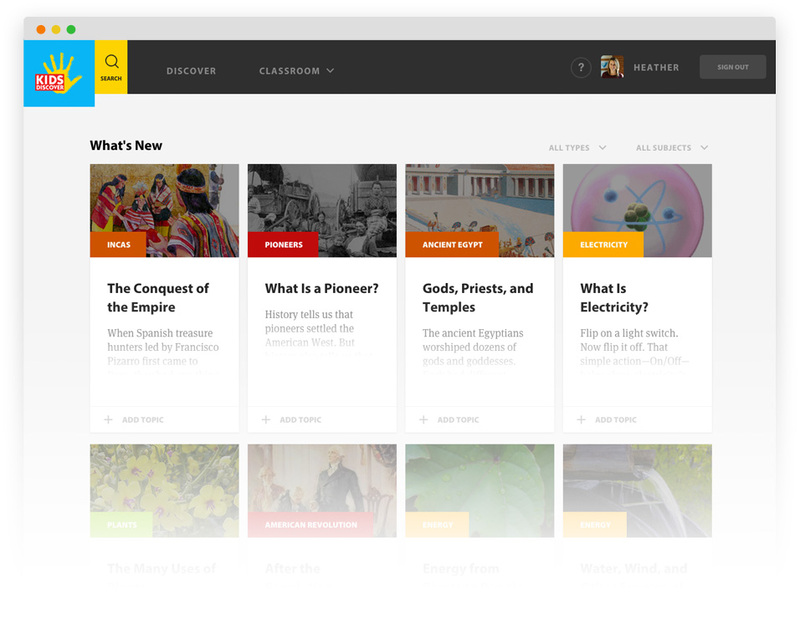 That’s why we created a personal space for educators to combine content from across our extensive library. Save material to your Desk, build out custom units, and prepare for upcoming lessons. It’s that simple. Choose from one of our paid plans or get started with a free plan and upgrade at any time.